Manual Cinema’s production of Mary Shelley’s Frankenstein runs Oct. 30, 2019. Photo by Michael Brosilow. “I do passionately believe that the arts are avenues of hope.” So says Meg Booth, the new CEO at Houston’s Society for the Performing Arts. That vision has led to a 2019-2020 season that brings stars of the film, music and dance worlds to Houston but above all, showcases artists working together to inspire and create. 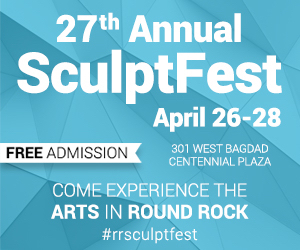 Houston arts lovers might have become accustomed to the eclectic nature of SPA seasons filled with innovative dance and music performances as well as Broadway musicals, dynamic speakers and multidisciplinary performing artists who defy categories. But Booth wants the organization to go further with an eye towards shaking up even those expectations for the unexpected. “What I would like to continue doing is making SPA more equitable and more reflective of the multi-communities that live within Houston and continuing to push interesting artistic collaborations and artists that have not been here before,” Booth says of the present and future of SPA. Kyle Abraham has been commissioned by SPA to do a new work, An Untitled Love, to be premiered June 4-5, 2020. Pictured: AIM dancers Jeremy Jae Neal and Tamisha Guy; Photo by Tatiana Wills. While Booth only began her tenure in December of 2018, she oversaw the programming of the upcoming season, though she’s quick to share credit with the SPA staff, especially general manager Lee Strickland. “One of the things I’m really interested in is forward-facing art. There are so many cool collaborations out there. 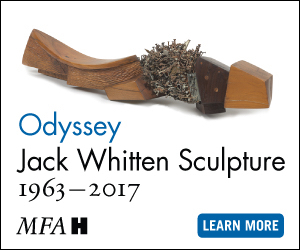 We should bring in new work, pushing boundaries giving people experiences that they haven’t seen before,” she describes of the lineup. Those new experiences and twists on the familiar begin with the first performance on Sept. 20. SPA gives audiences a new perspective on megastar Jeff Goldblum, as a jazz pianist with his band, The Mildred Snitzer Orchestra. The startling collaborations really ignite as Mexican singer-songwriter Magos Herrera comes together with contemporary string quartet Brooklyn Rider to perform songs from their album Dreamers (Oct. 12). In February, look for another genre-busting collaboration as edgy folk band Bon Iver teams up with contemporary dance troupe TU Dance for new music and choreography (Feb. 20-21). 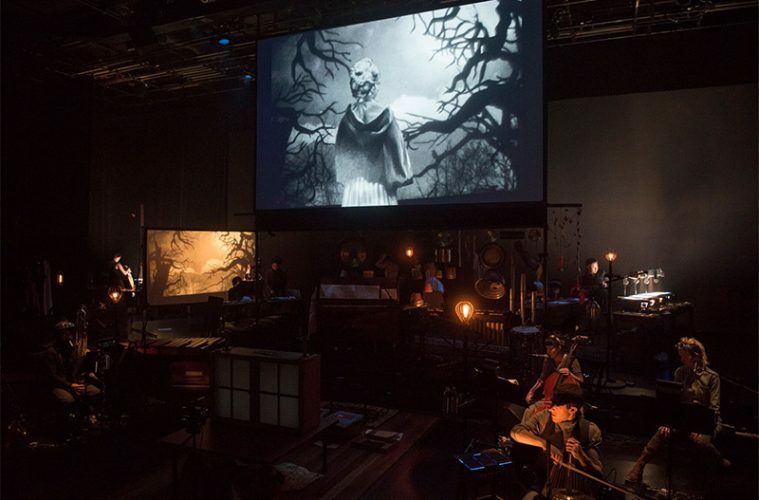 Manual Cinema’s production of Mary Shelley’s Frankenstein epitomizes the idea of art that defies easy definition: an ensemble of puppeteers, musicians, actors and cinematographers create in real time a shadow movie retelling Mary Shelly’s immortal story. That performance is on Oct. 30, 2019. Martha Graham Dance Company’s return to Houston after a 15 year absence to perform Chronicle and other works from The EVE Project on Oct.18, 2019. Pictured: Anne Souder in Martha Graham’s Chronicle. Photo by Melissa Sherwood. Not quite a collaboration but another highlight of the season with collaborative tendencies will be the first SPA-commissioned work in five years, the world premiere dance An Untitled Love (June 4-5, 2020) from MacArthur Fellow and Jacob’s Pillow Award winner, Kyle Abraham and his company, A.I.M (Abraham in Motion). The engagement will also be the company’s Houston debut. Commissioning new work lets SPA bring world premieres to Houston but Booth believes it also puts a Houston stamp onto the art as it goes out into the world. “When we can put our name on it and say: Society for the Performing Arts in Houston is committed to the creation of great art, it puts Houston on the map,” she explains. While selecting radical and original collaborations was an intentional act of programming, Booth says this season filled with strong women telling their own stories was more accidental. This woman-centric lineup includes Martha Graham Dance Company’s return to Houston after a 15 year absence to perform Chronicle and other works from The EVE Project (Oct.18), which celebrates the centennial anniversary of the 19th Amendment, giving women the right to vote. Yet, these strong women have many faces and ways to tell their stories, including Latin Grammy Award-winning singer Lila Downs (March 6, 2020), an evening with Tony Award winning Bernadette Peters (Nov. 2, 2019) to queens of comedy like Jane Lynch and Kate Flannery in their cabaret show Two Lost Souls (Nov. 8) or Vicki Lawrence bringing her Mama character to the stage in time for Mother’s Day, 2020. 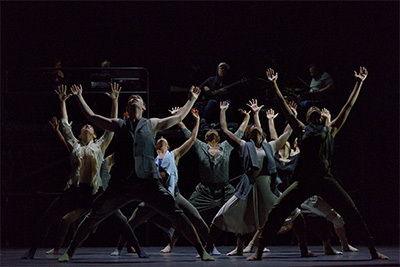 Folk band Bon Iver teams up with contemporary dance troupe TU Dance for new music and choreography on Feb. 20-21, 2020. Pictured: Bon Iver & TU Dance in Come Through. Photo by Michael Slobodian. SPA also keeps its Broadway musical roots with another example of women telling their stories in The Color Purple (Jan. 3-4, 2020) and even throws in some sea sponge power with the critic and audience darling that just closed in New York, The SpongeBob Musical (June 23-28). With a season filled with such art diversity from EMN—Ensemble Mik Nawoo (May 15, 2020) blending classical music and hip hop to Mark Morris Dance Group’s Beatles-inspired Pepperland (Jan.30-31, 2020) to food exploration with Samin Nosrat’s speaker’s evening on Salt Fat Acid Heat (June 12, 2020), SPA keeps building those avenues of hope for audiences to travel upon.